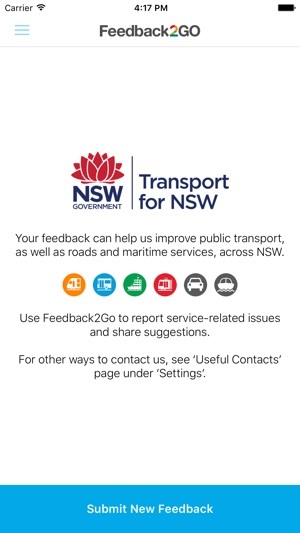 Feedback2Go allows customers travelling on NSW public transport, roads and waterways a quick and simple method to provide service-related feedback using their mobile device. 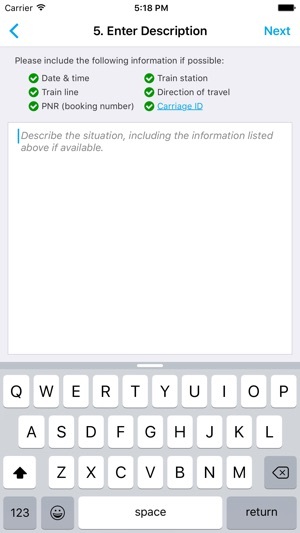 It’s free and easy to use and quicker than calling and waiting to speak to an operator. 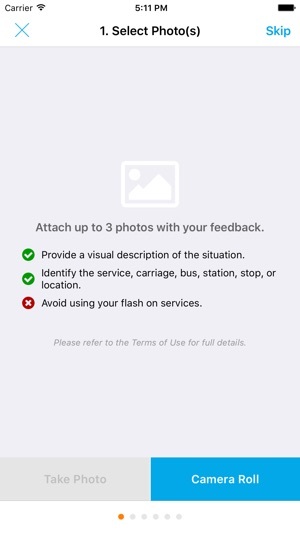 You can snap a photo, tag your location and identify the transport mode you want to comment on. 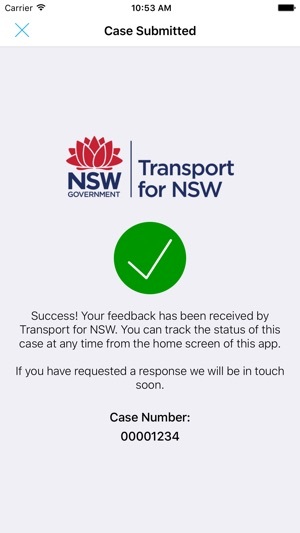 You can describe the issue and submit feedback direct to Transport for NSW. 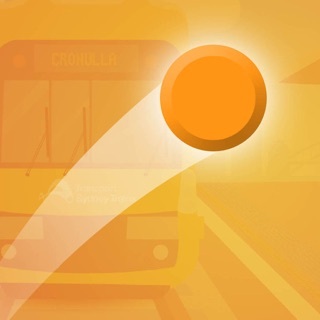 • A mobile channel that makes it easier for you to provide feedback on major transport modes: Train, Bus, Ferry, Light Rail, Roads and Maritime. 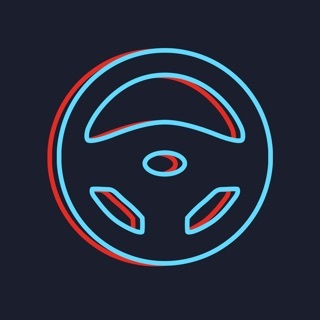 • Track your feedback and its status in real time. 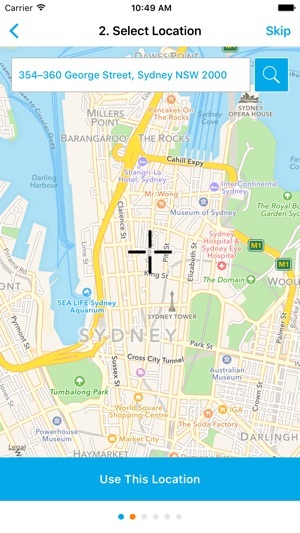 * Location selector now makes it simpler to select train stations, tram/bus stops and ferry wharfs. Easy to follow steps, does what it says with minimum fuss.